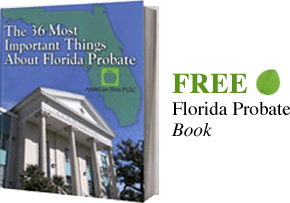 A trust in Florida can be one of the best estate planning tools used by Jacksonville estate planning lawyers because a Trust can permit clients to protect assets, preserve wealth, avoid probate, and qualify for government assistance programs. Many families can use one or several trusts to help avoid lengthy court processes and to save their beneficiary’s time, money, and aggravation. However, some Florida trusts can be subject to litigation when the trusts are improperly being managed, the trust beneficiaries have a dispute, if the trust was improperly created, or the trustee is not acting correctly. In Florida, the qualified beneficiaries to a trust can contest a trust under a few legal theories. By far the most common dispute is over the actions of the trustee. These tend to be minor issues and can be resolved easily with an action for an accounting or removal of the trustee. When we are not dealing with the use of the trust, but the creation of the trust the top causes of action include: a mistake in the execution of the trust, someone had undue influence over the trust’s creator, and the testator lacked the proper capacity to execute the trust. A qualified beneficiary may also challenge a trust if a trustee violated his or her fiduciary duty to administer the trust. Who is a Qualified Beneficiary of a Florida Trust? For a trust to be valid in Florida, the testator must execute the trust according to Florida’s trust code. Clients can find the law for trust execution under Florida Statute section 737.111. Florida has some unique laws to trusts, which is why we recommend hiring a top rated estate planning attorney in Jacksonville. The trust must be signed by two witnesses and the testator. The testator and the witnesses should sign at the end of the document, and each witness must observe the testator sign the document. Further, both the witnesses and the testator should sign the trust in blue ink. Florida will recognize trusts created in others states. However, there are certain types of trusts and wills Florida will never recognize to be legally valid. For more information about trusts that can be properly executed, contact us today. A qualified beneficiary may also sue under the legal theory of undue influence. The courts define undue influence as when a beneficiary to a trust acts with conduct that amounts to over-persuasion, duress, and coercion to the degree that it destroys the testator’s will power. A court will consider several factors when determining if undue influence has occurred. The courts will first look to see if the circumstantial evidence in the case creates a presumption of undue influence. A qualified beneficiary may also contest a trust if the testator lacked capacity at the time he or she executed the trust. The mental capacity required to make a trust is very low, and much lower than the general standard of competency. A lack of capacity claim is valid if the testator did not know the nature of his or her property, the testator did not understand the nature of the family members and friends that would usually receive an inheritance, or did not understand how the trust disposed of the testator’s property. Natural aging conditions such as dementia can cause lack of capacity, as well as a substantial amount of medication. A beneficiary may also challenge a trust when a trustee breaches his or her fiduciary duty. A trustee has an important obligation to act in the best interests of the trust beneficiaries. The trustee must properly administer the trust, invest the trust property, and defend the trust against claims from creditors and other parties. A trustee is not allowed to self-deal. This means the trustee cannot take loans from the trust funds, or do business with the trust on a personal level. This is true even if the trustee’s personal business with the trust helps the beneficiaries. The trustee can also be liable if he or she mismanages the trust’s assets. Further, the beneficiaries to the trust also have a right to an in-depth accounting of the trust. A trustee can be personally liable to the beneficiaries when he or she violates her fiduciary duties. The beneficiaries may also challenge the validity of the trust if the testator did not properly execute the trust, or the trust was procured through undue influence. If you feel that there is something wrong with the way a Florida Trust has been handled or your assets have not been dealt with fairly, CONTACT our Florida Trust Lawyers by email or call us at 904-685-1200 to discuss your situation today.